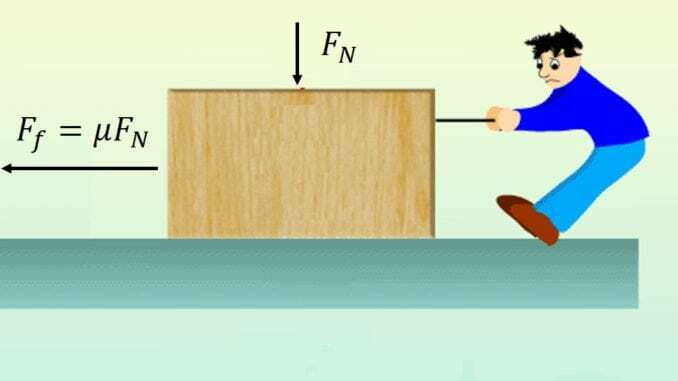 where is the friction force and is the applied normal load. The magnitude of the coefficient of friction is determined by the properties of the surfaces, surroundings, surface features, presence of the lubricant, etc. A list of typical friction coefficients can be found here. Correspondingly, there are two friction coefficients, static and kinetic friction coefficients.